Set/2 Snow Owls For Gypsy Fairy Gardens. 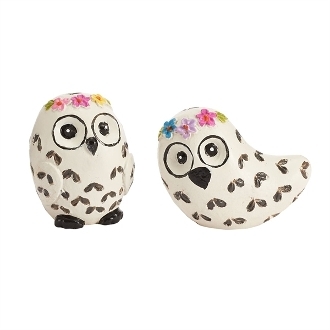 Full Description: This adorable set of mini snow owls are perfect for a forest themed mini garden. Made of resin and features hand-painted details with all-weather paint.